We are surrounded by numbers every day as a result they tend to go unnoticed, there are 1000’s of different typefaces out there, some beautifully crafted some not so. I’ve decided to celebrate the humble number, and what better month than December the one month that most of us count down to an event, Christmas day. I’m shooting my adventgram project for the second year running. 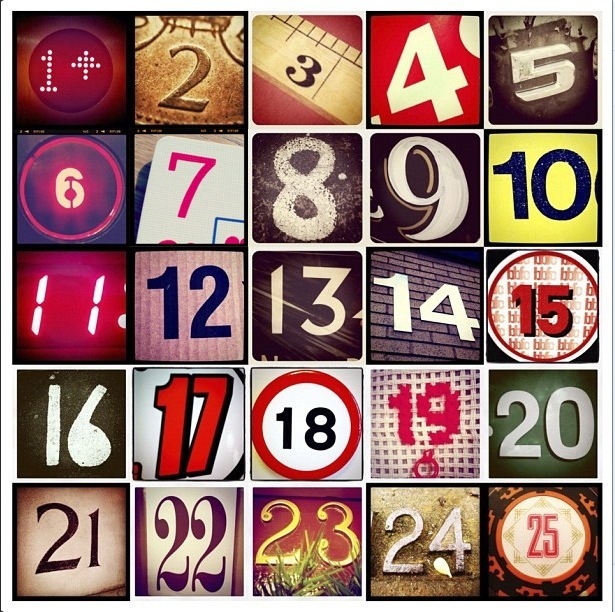 Every day I find and shoot the number of the day on my phone using instagram to publish it.